Jiu-jitsu.News: Who’s Going To Win Black Belt Absolute at IBJJF 2018 Brazilian Nationals? 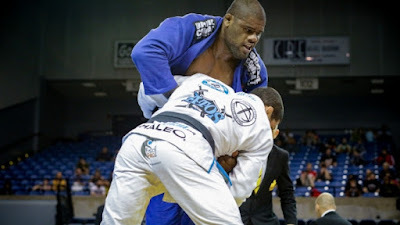 With the absence of heavy hitters Erberth Santos and Leandro Lo, the door is wide open for a new name to win the Brazilian National black belt absolute title in Sao Paulo this weekend. The sheer amount of black belts who have signed up for “Brasileiros” is insane. There are 263 male black belts in the adult divisions, meaning that there will be no shortage of entrants for the absolute division when it goes down on Saturday May 5. The division will run up to the semifinals, with the finale taking place on Sunday May 6. Here’s a quick rundown of who could take gold in the adult male black belt absolute division. Otavio Nalati (Team Lloyd Irvin Brazil).